A totally NEW MusicArtists4U.com website and we will be soon launching our new TV Show series with new artists! Emma King From Northern Britain First Artists To Film At Legends of Music Barn! Emma King from Northern Britain was the first artist to be filmed for our spring TV show season at The Legends Of Music Barn. It was a fun filled day for Emma, Ritch Spence and Mike Newsham who accompanied her. They were overwhelmed with the facility and our production. The Legends of Music Barn is located just outside the small town of Clark, Ohio netled in amish country and is owned and painted by our good friend Ruston Baker. Ruston has agreed to allow us to start shooting our TV Shows in this wonderful facility along with our commercials and artists promo videos. Our fully equipped soundstage includes all new LED lighting with six state of the art cameras along with jib arms and dollys in order to capture the most difficult shots. We have recently purchased a Pro-Tools rig that will allow us to track each performance and mix the performance audio to give the most highest quality recording. For more pictures of the barn click here. When an artist or songwriter comes to the MusicArtists4U.com Soundstage they will not only be on our TV Show but will acquire what we call a six pack. A Six Pack consists of 6 songs professionally recorded and mixed, six performance videos made into a promo video, band photo, 60 second TV commercial advertising the new CD (which will air on our TV Shows), and a radio promo advertising the new CD that will air on our streaming radio stations. Mt. 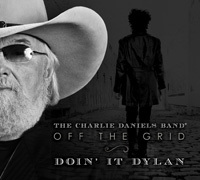 Juliet, TN (February 5, 2014) - Humbling to think that even the greatest musical legends have their own personal icons - as proven with the much anticipated new release by Charlie Daniels and The CDB - Off The Grid-Doin' It Dylan. Produced by Charlie Daniels and Casey Wood, (compilation producer David Corlew) the new project is set to street April 1, 2014. Little could Charlie Daniels have imagined in the late '60's as a young studio musician answering a call from producer Bob Johnston to add his creativity on guitar to three of Dylan's Nashville produced projects (Nashville Skyline, Self Portrait, and New Morning,) that he was on the first steps of the journey to his own destination as a musical icon. 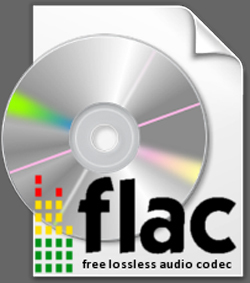 MusicArtists4U.com will now offer music in the Flac format. This means you will be able to download music as if it came right out of the studio at the highest form of quality that can be reached! We will be offering different packages where you can buy the physical CD and why your waiting for the CD to arrive you will be able to download the MP3 versions and the Flac versions along with the CD artwork that you can print and make your own CD from your download. MusicArtists4U.com is a totally new media that will create a place for good quality music by talented musicians which up until now would have never been heard. A place for established artists to be recognized and be able to be seen and heard again. A place for Singer/Songwriters with catalogs of great music that no one has ever experienced will now be able to get their music in the hands of YOU the consumer! Everyone in the music business is trying to figure out how to sell their music. In this day and age it's almost impossible to get your music aired on radio or television so we have created a totally new media that will allow all these artists to be seen and heard worldwide. 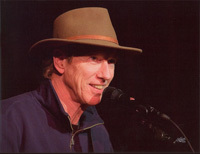 Artists like Little Texas, Peter Rivera (Rare Earth), Confederate Railroad, Charlie Daniels and more have had new CD's released but radio and television refuse to play their new material so the general public has no way of knowing they have new music available. We intend to change that! MusicArtists4U.com will be a place where the consumer will be able to buy and download the artists music and videos and also buy the artists merchandise and venues will be able to book the artist all under one roof. MusicArtists4U.com was founded by Bruce Uher and Anthony Martin two music industry veterans along with several others. With the teams experience in the music business we will promote the artists, help them promote themselves and book the artists in a music industry that is changing everyday. We do this by offering them a place here on our site to promote and sell their music and merchandise. We help the artists build their fan base and build a database that will keep their fans informed. We feel the most important part of being an artist in this day and age is building a fan base and with our experience and technics we help the artist get those thousands of fans in their database to keep them up to date on new product, music, and nearby shows! These are just a few of the ways and things we have to offer here at MusicArtists4U.com there are so many more aspects of this venture which are to numerous to mention here and remember MusicArtists4U.com is for ALL genres of music! And What's In It For The Consumer? Well the consumer has all the advantages! They get to hear and see these great artists and have the opportunity to buy good quality music again like they used to! Other things the consumer has the opportunity to enjoy are our online instructional videos if they are interested in playing or singing themselves. With our online instructional videos the consumer has the chance to learn from top notch professional performers and music industry veterans. The consumer will now have the chance to see all these great artists performing live music at all the shows they will be performing at through out the year. 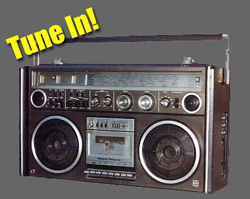 And don't forget our online music magazine, industry news, new music releases and our NEW online music video channels! We here at MusicArtists4U.com just launched our own 24 hour online streaming MUSIC VIDEO channels. Now all our artists videos will be aired in rotation here on our website through these new video channels just like our radio stations. 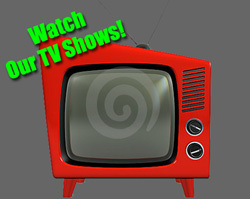 Watch all your favorite videos, concerts and more on our new video channels. With new technology and internet TV you will be able to watch this new channel right on your television with the new internet televisions being introduced by Vizio and Sony or watch it right here on our website on your computer. We promise you this will be a music video channel and will NEVER turn into a reality tv channel like most music video stations have resorted to. We cannot stress the fact that we all need to "SUPPORT LIVE MUSIC". This weekend go out and have dinner and go watch a live performance anywhere! Your local Moose Lodge, Eagles Lodge, Army Navy Club or any local establishment. While there please drink responsibly. We HAVE to support live music and the artists performing. 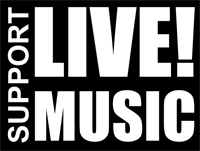 Suporting live music helps support not only the artist but the community, the establishment and everyone that works there.We will soon have shirts and bumper stickers available to help show your support for live music. online streaming music video channels! 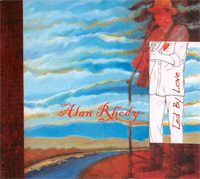 New Release From Singer / Songwiter Alan Rhody Titled "Led By Love" Now Available ! 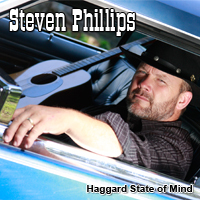 Folk-and-Soul, Bluegrass-tinged Alt-Country that proves to be Rhody's finest work yet. 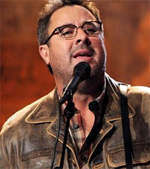 The songs are exquisite as well as heart-pounding and his road-worn voice and dynamic production shine! 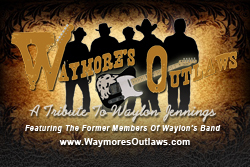 Waymore's Outlaws "A Tribute To Waylon Jenniings" Is Ready For Bookings! 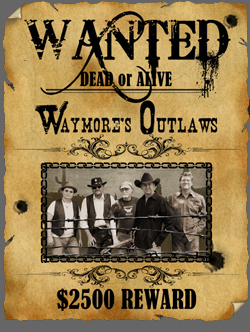 The NEW Waymore's Outlaws promotional video is now done and their ready to start excepting bookings for the 2014 season. Waymore's Outlaws feature the original members of Waylon Jennings band and lead singer Tommy Townsend and this show is not only a tribute to their leader Waylon Jennings but also covers their new original songs from their new CD titled "Same Ol' Outlaws". 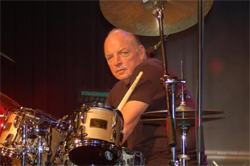 "Celebrate" With Peter Rivera, Original Drummer And Lead Singer For The Classic rock Group Rare Earth, Is His New Show And Available For Bookings! and "I Just Want to Celebrate"
Hey Music Stores Help Us Help Artists In Your Area! Hey music stores help us promote MusicArtists4U.com. Download and display our flyer in your store and in return we will list your store in our Local Music Store Directory in our Services section..
Download our flyer here (PDF). Is Right On The Money! 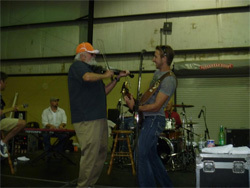 Tucker Yochim had the opportunity to perform the song "Southbound" with Charlie Daniels at his annual Family Reunion / Fan Club Party!